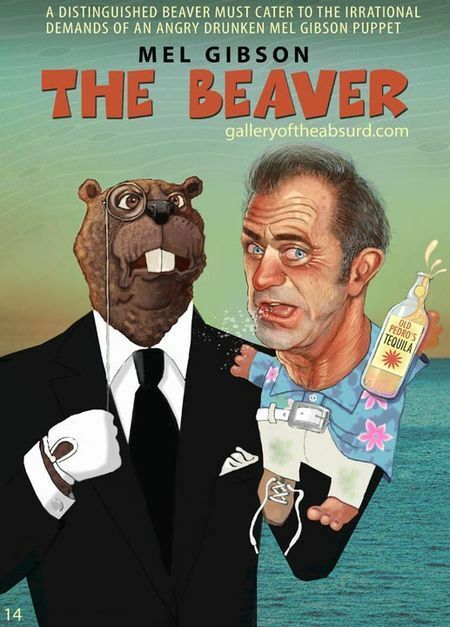 MEL Gibson is back as the star of The Beaver. Jodie Foster directs Mel as a man with puppet on his hand. It’s a beaver and Mel treats it as if it were real. His character name is Walter Black (*note a gang-banging black – just a white man with a rodent on his hand). The script for this gem was top of the 2008 Black List of the best unproduced screenplays in Hollywood. And if you don’t want to see the odious Mel running about the place talking to a beaver glove, you have no love of culture. The film sounds fantastic.